TURIN, Italy -- Fiat Group is negotiating with Chrysler LLC to form a strategic partnership that could include a Fiat equity stake in the ailing U.S. carmaker. The pact would help Chrysler speed and strengthen its restructuring plan. According to people familiar with the matter in Europe and Detroit, Fiat could give Chrysler access to its mini, small and mid-sized car platforms, engines and transmissions. This would allow Chrysler to quickly build a new range of front-wheel-drive, low-emission vehicles. Chrysler already has an agreement with Nissan Motor Co. that calls for Nissan to produce a small car based on the Dodge Hornet concept in calendar year 2010. If the deal is completed, Fiat would get a 30-35 percent stake in Chrysler in exchange for Fiat's platform, engines and transmission technology, sources told Automotive News Europe. 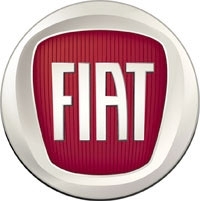 Fiat would get options to acquire up to 55 percent of the automaker over time, The Wall Street Journal reported. The Financial Times also reported today that the two companies have signed a memorandum of understanding on the alliance, which could be announced within days. Another source told Automotive News that the agreement was signed on Friday, Jan. 16. "In todays economic environment, talks are going on between companies in all industries -- ours is no different," Chrysler said in a prepared statement this afternoon. "Chrysler LLC as a matter of policy however, does not confirm or disclose the nature of its private business meetings. Beyond those partnerships and alliances already announced, Chrysler has no further announcements to make at this time." A Fiat spokesman was not immediately available to comment. Chryslers majority owner, Cerberus Capital Management LP, declined to comment. Thomas Froelich, a spokesman for Daimler AG in Stuttgart, declined to comment. Daimler owns 19.9 percent of Chrysler. Chrysler, which was acquired by private equity firm Cerberus in 2007, saw its sales drop 30 percent last year and has throttled new investment. It received $4 billion in emergency U.S. government loans this month and plans to seek another $3 billion. Fiat began looking at Chrysler last summer and more than a dozen executives spent weeks at Chrysler headquarters, industry sources told Automotive News. Fiat executives also held talks with Chrysler dealers and held meetings with Cerberus in New York, the sources said. Detroits other carmakers, General Motors and Ford Motor Co., also plan to introduce a range of mini, small and mid-sized vehicles based on their designs now sold in Europe or being developed there. These cars would be ready in 2010 or 2011. Chrysler, which does not have a similar range of products built in Europe, has been looking for a partner to quickly provide such vehicles. The company sought help from Japans Nissan and Chinas Chery Automobile Co.. So far, only the Nissan small-car project has borne fruit. Possible extensions of the Fiat-Chrysler deal could include access for Fiat to Chryslers North American manufacturing operations and distribution network. Fiat has postponed the relaunch of its Alfa Romeo brand in North America until 2011 because it has had difficulty finding a local manufacturing and distribution infrastructure. Fiat Group CEO Sergio Marchionne has said he would like to sell the Fiat 500 minicar in the United States but only if it is built locally. An alliance with Chrysler would allow Fiat to sell Alfas and the 500 in the United States because sharing manufacturing sites with Chrysler would reduce costs. Alfa cars and the 500 would be sold in North America through Chrysler, Jeep and Dodge dealers. At the same time, Chrysler could access Fiats distribution network in Europe and Latin America. Fiat is the No. 1 automaker in Brazil, Latin Americas largest market. In 2010, Chrysler will bring to North America a Nissan-designed small car made in Japan. Chrysler began selling the Nissan-built Dodge Trazo in Latin America in late 2008. In December, Chrysler and Chery ended 17 months of negotiations to initially give Dodge a China-built minicar for sales in Latin America. Chrysler and Chery also ended talks to build a small car similar to the Hornet concept car on the Chery A1 platform, to be sold in the United States, Europe and other world markets.